Heirloom tomatoes. What a nice name for a fruit. Attach the word heirloom to anything and you immediately get that fuzzy feeling. Try it: Heirloom necklace. Heirloom desk. Heirloom antiques. Suddenly, I’m drawn to anything heirloom. The word is nostalgic, making you wonder about the subject’s history. When you think about it, having an heirloom tomato in your kitchen is pretty fascinating. It’s like cooking with a little piece of history. Here’s why: Since the 1940’s, farmers have saved the seeds and passed them down from generation to generation. 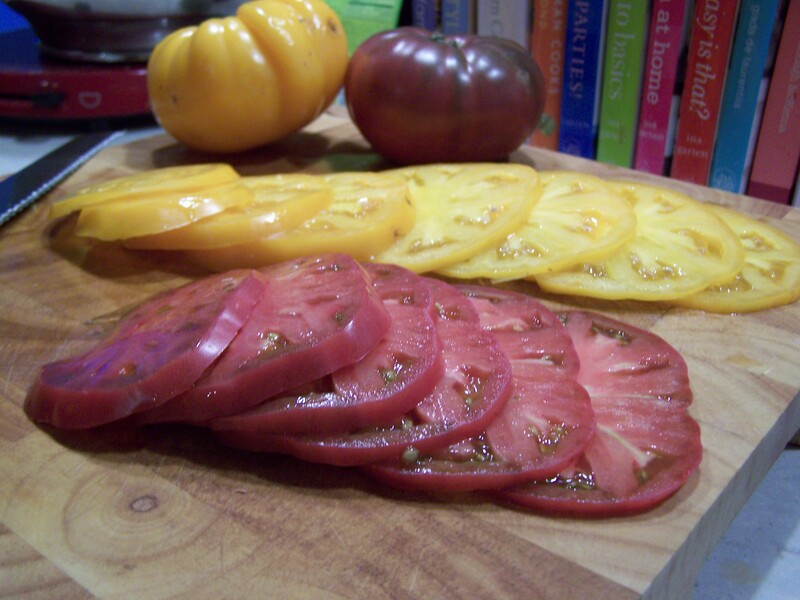 Available in many different sizes and colors, my heirloom tomatoes were purple and yellow. With caramelized onions, these beauties made a gorgeous filling for my savory heirloom tomato pie with goat cheese and toasted pine nuts. Open any leading food magazine today and there they’ll be: colorful, unique and bursting with flavor. 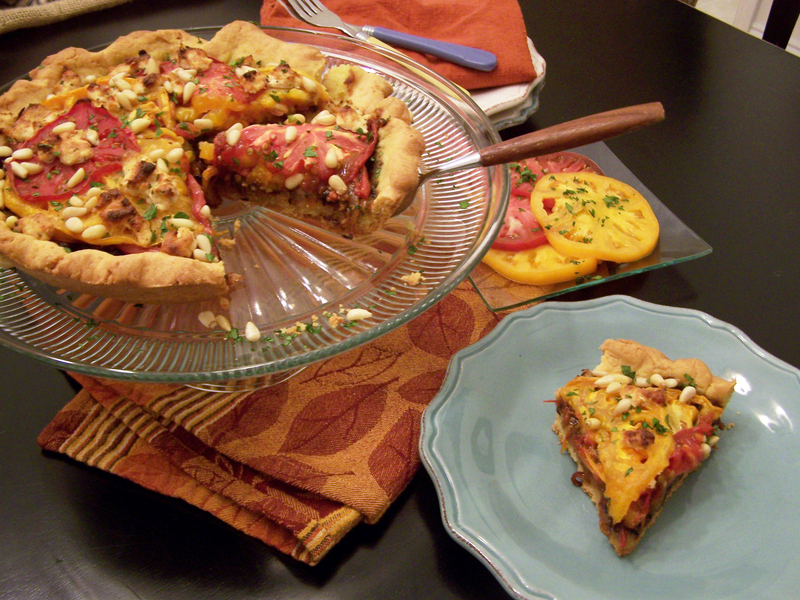 Heirloom tomatoes are often the celebrity in soups, salads and tarts. If the heirloom tomato is there, the party is on. The recipe starts with a cornmeal crust. 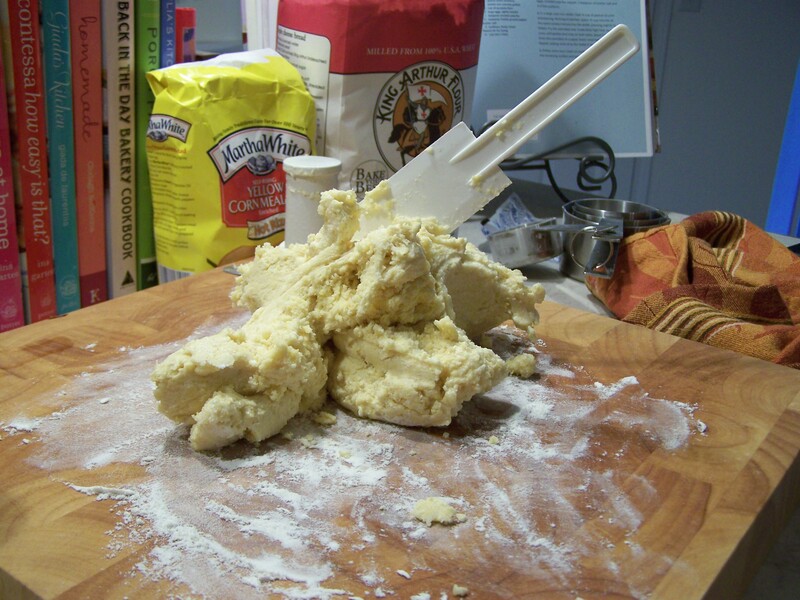 Combine 1 cup of unbleached, all-purpose flour with 3/4 cup of yellow cornmeal and a stick of cold butter in a food processor. Add fine sea salt and ice-cold water and this is the result. Turn the dough out onto a floured surface, form it into a disk, cover in plastic wrap and chill it in the freezer for about 45 minutes. 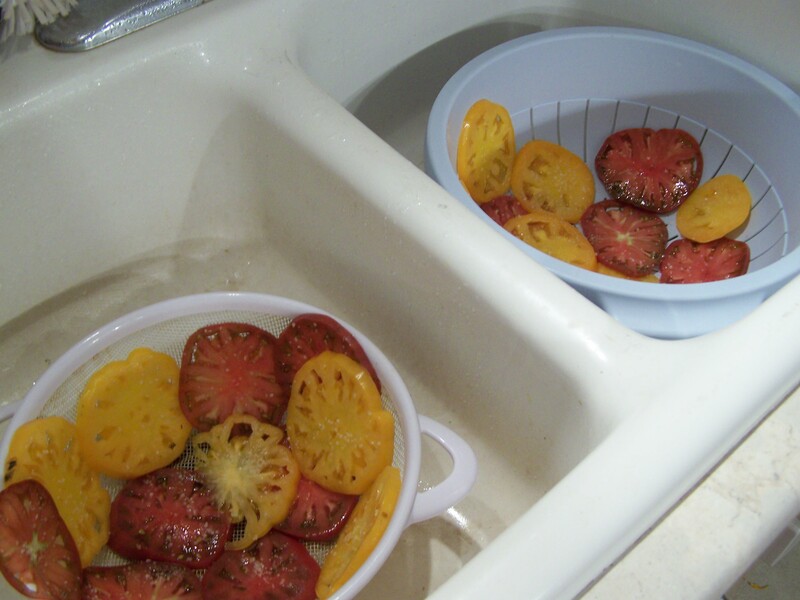 Meanwhile, salt your tomatoes and let them drain. You wouldn’t want a watery pie, now. 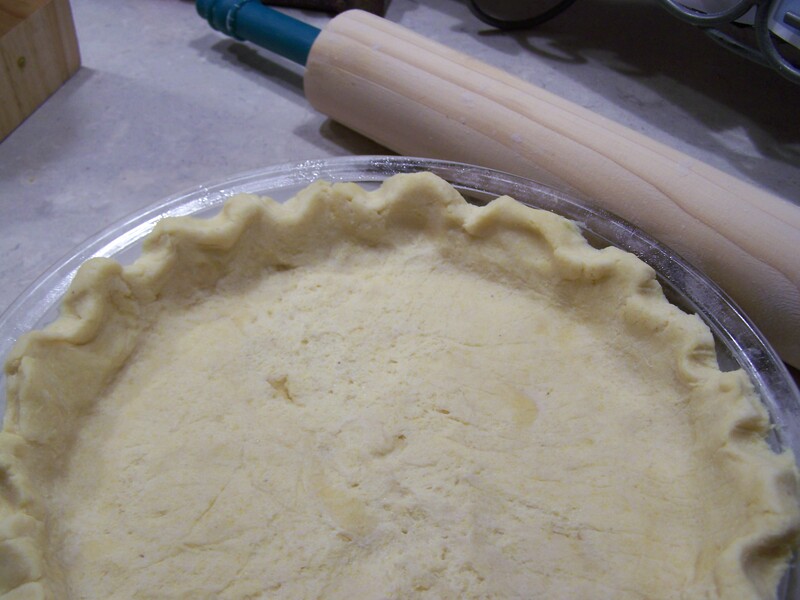 Once your dough has chilled, you’ll roll it out and place it in your pie crust, then crimp the edges. It’s not finished chilling, just yet. 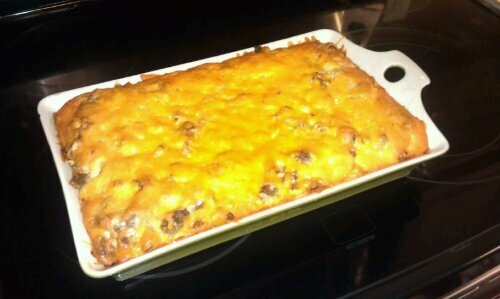 Place it in the refrigerator to let it set for about 20 minutes. 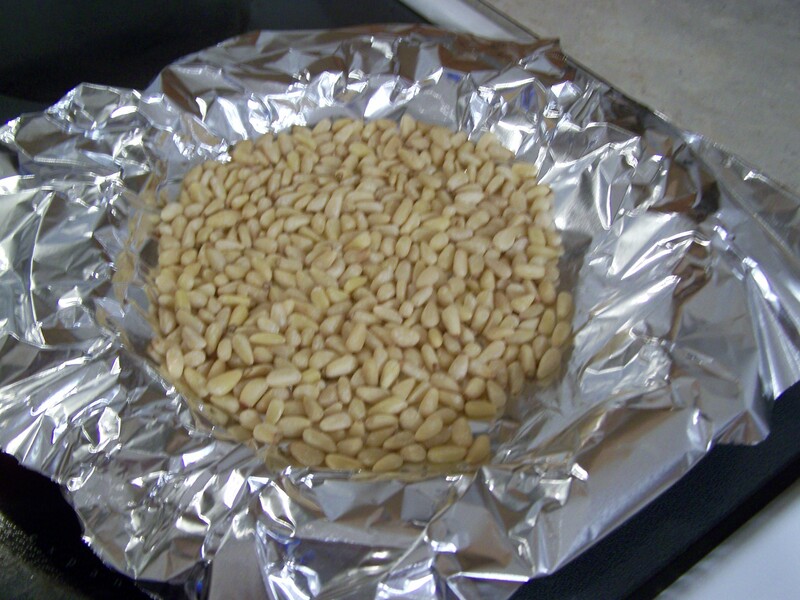 Cover the crust with aluminum foil and weight it down with something heavy like beans or rice. 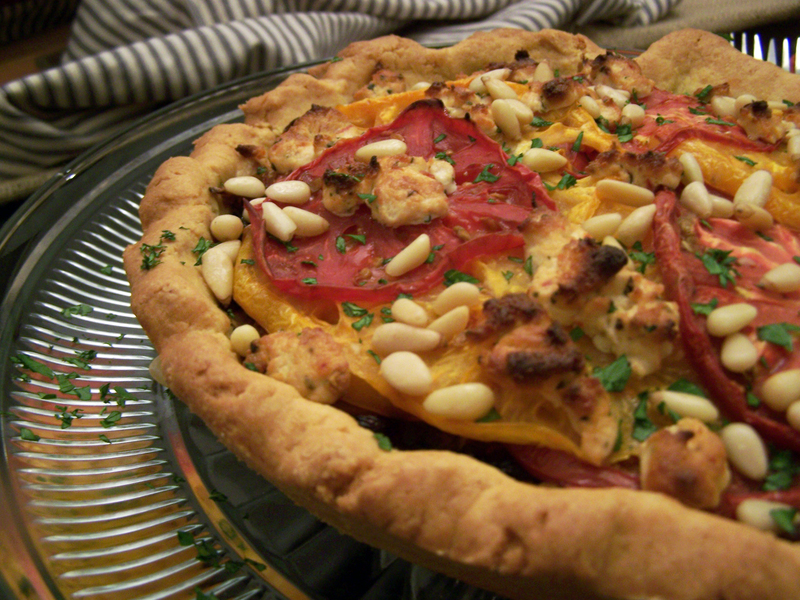 I thought I would be clever and kill two birds with one stone–I used pine nuts thinking they would keep my crust from puffing up while toasting at the same time. Unfortunately, they weren’t actually heavy enough. No worries, everything still turned out alright. I am not above using what you have on hand. 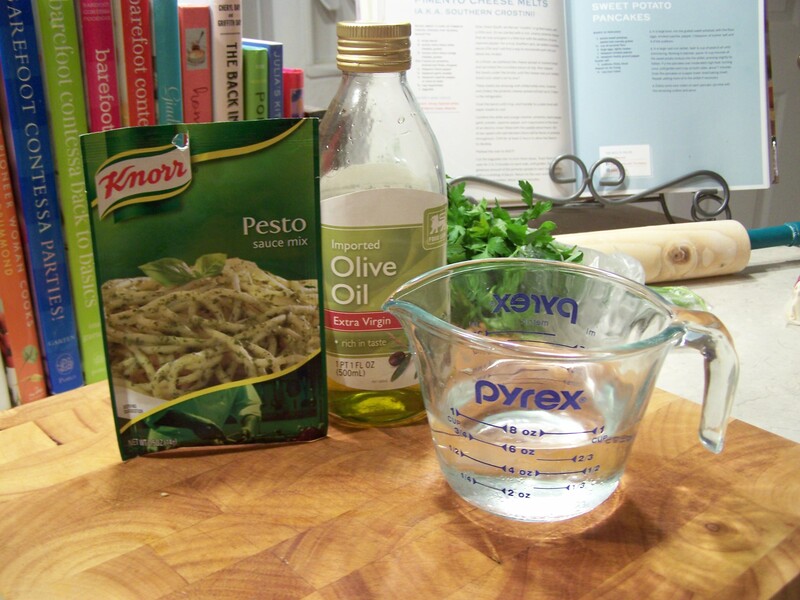 Though I did not have any fresh basil to make my pesto from scratch, I did have a sauce mix. It came together easily with water and extra virgin olive oil and served as the perfect base for my tomatoes. 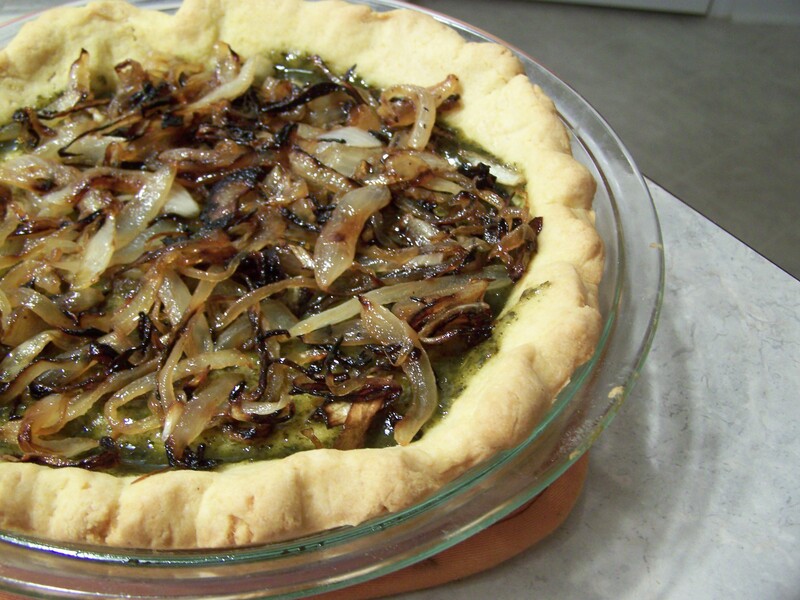 …then top with gorgeous, caramelized onions. I sautéed these in a skillet with butter for about 15 minutes and added a tablespoon of sugar for a little sweetness. 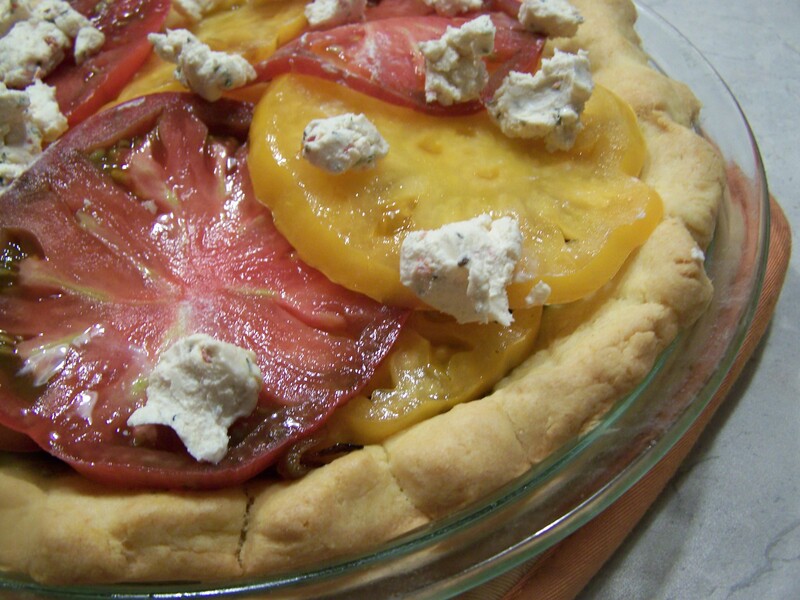 Next, I layered in my tomatoes, alternating colors, then topped them with crumbled tomato & basil flavored goat cheese. 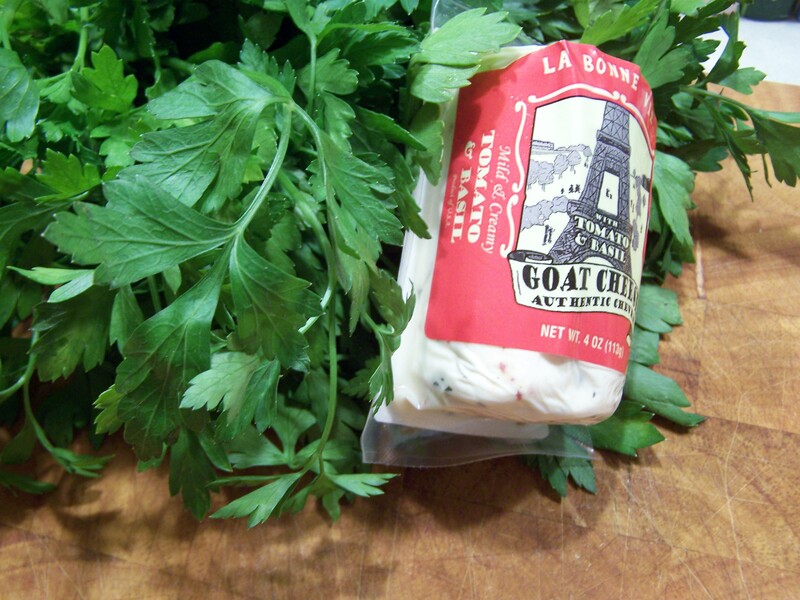 Mild and creamy, the goat cheese is a nice bite with that cornmeal crust. 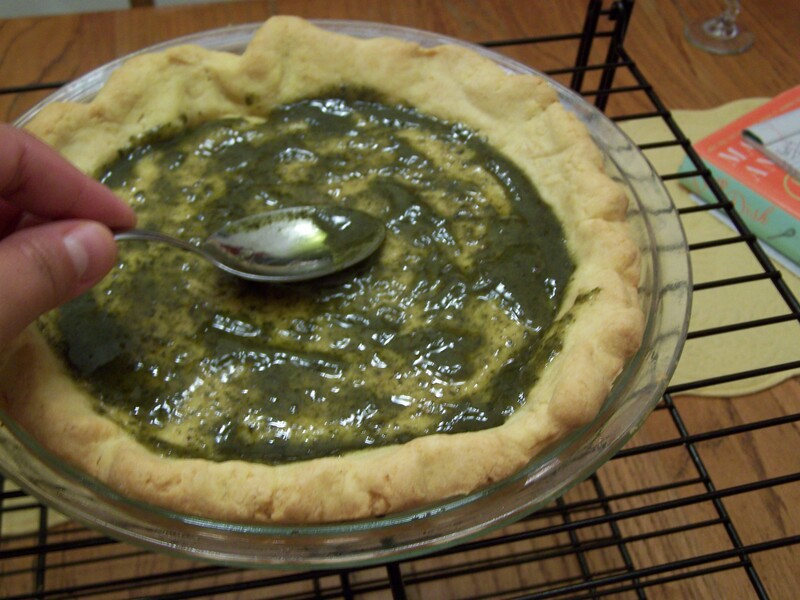 Flat leaf parsley adds a freshness and a nice pop of color to the pie when it comes out of the oven. 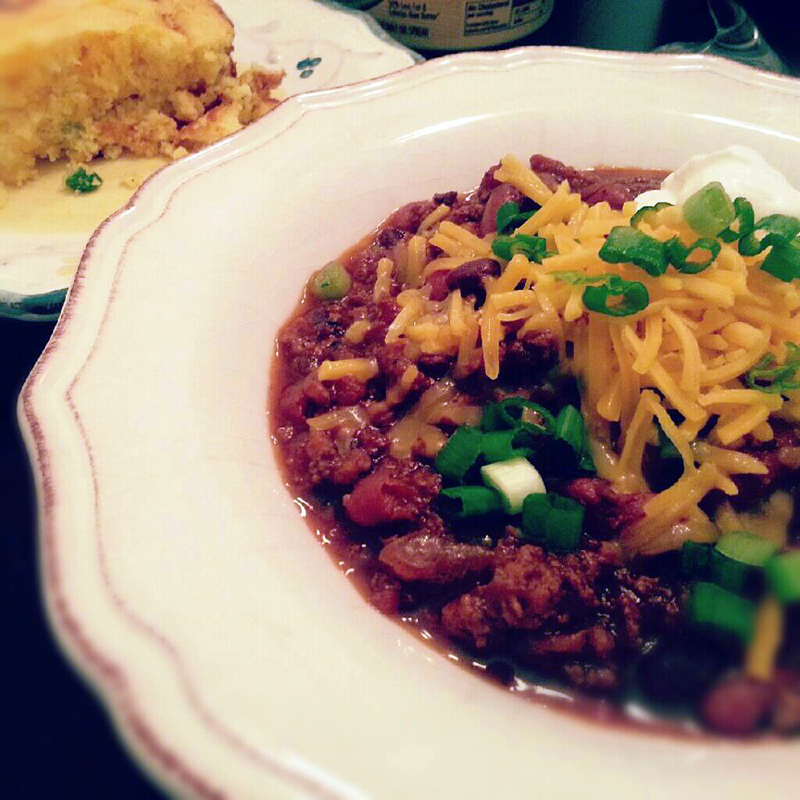 Of course the key to any amazing dish is quality ingredients. Bake in a 375 degree oven for 50 minutes. Top with toasted pine nuts and parsley. The goat cheese browns up so beautifully! 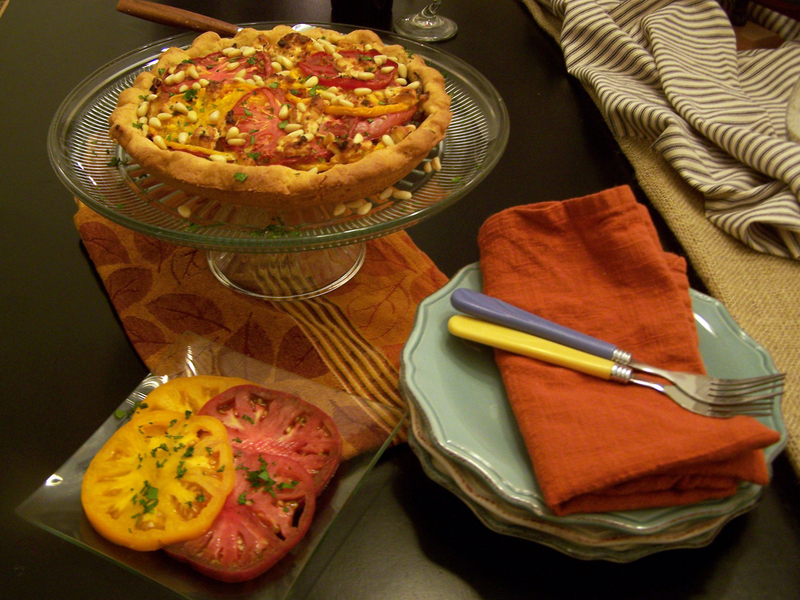 My savory heirloom tomato pie will be a welcome guest at any table. Enjoy it with a good glass of red wine and let this 50-year-old fruit take you back.